The campus of Temple University in North Philadelphia. Temple University's controversial plan to construct a football stadium in North Philadelphia appears to be on hold, according to a report from the student-run Temple News. For much of the past year, the status of the proposed $126 million stadium has been kept largely under wraps as the university completed a feasibility study in conjunction with architecture firm Moody Nolan, a national leader with an extensive portfolio in stadium design. Resistance to the project, spearheaded by the community group Stadium Stompers, flared up last April when protesters marched down North Broad Street in opposition to the university's plan to build a 35,000-seat facility at the site bound to the east and west by Broad and 16th streets and to the north and south by Norris Street and Montgomery Avenue. Residents in the area expressed concern that the stadium could lead to increases in vandalism, violent crime, noise pollution and traffic congestion, among other social and environmental impacts. The university had budgeted $1.25 million to complete a feasibility study for the stadium, including walking tours and meetings with local residents, but the year has seen major change at Temple and its football program. After a two-season stretch during which the Owls went a combined 20-8 and claimed their first-ever American Athletic Conference championship in December, head coach Matt Rhule departed to accept a position at Baylor University and the team hired former Florida defensive coordinator Geoff Collins to replace him. In December, Temple extended its contract at Lincoln Financial Field through the 2018 season. Some critics of the stadium proposal, including Philadelphia Mayor Jim Kenney, had suggested the Eagles partly were responsible for Temple's consideration of the project after doubling their asking price on a 30-year lease at the Linc to $2 million.. In the bigger picture, Temple's board of trustees voted last July to remove former President Neil Theobald from his post after it was discovered that the university over-allocated $22 million in scholarship money for the 2016-17 academic year. His acting replacement, former university chancellor Richard Englert, was given the job in a permanent capacity last October as Temple's Presidential Search Committee continues to seek a long-term appointment. A representative from Moody Nolan told The Temple News that all data collection for the feasibility study has ceased. A university spokesperson said Monday that community outreach efforts surrounding the project remain ongoing. At his introductory press conference in December, Collins said that he had seen "beautiful" renderings of the stadium, adding that it would be "huge" for the future of the Owls' football program. 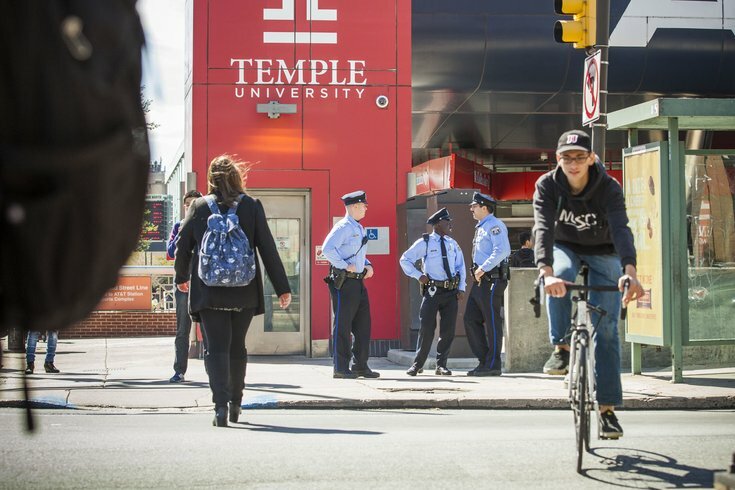 Contacted Tuesday morning, Temple University spokesman Brandon Lausch said the project has not been placed on hold but did not provide any further details. "There is no change in status," Lausch said. "Temple continues its careful efforts to consider the future of a university stadium. That decision will be made by what is best for the university and the North Philadelphia community."